Have Your Wedding in Spain! Why not have your wedding in Spain? Palacio de Moratalla: Dates back to the times of Alfonso XII. San Bartolomé de Lupiana: A beautiful monastery, considered one of the great jewels of the Spanish Renaissance. El Castillo de Castilnovo: The perfect choice to celebrate a full fantasy and romance and enjoy more traditional Castilian culinary specialties in a fabulous setting. 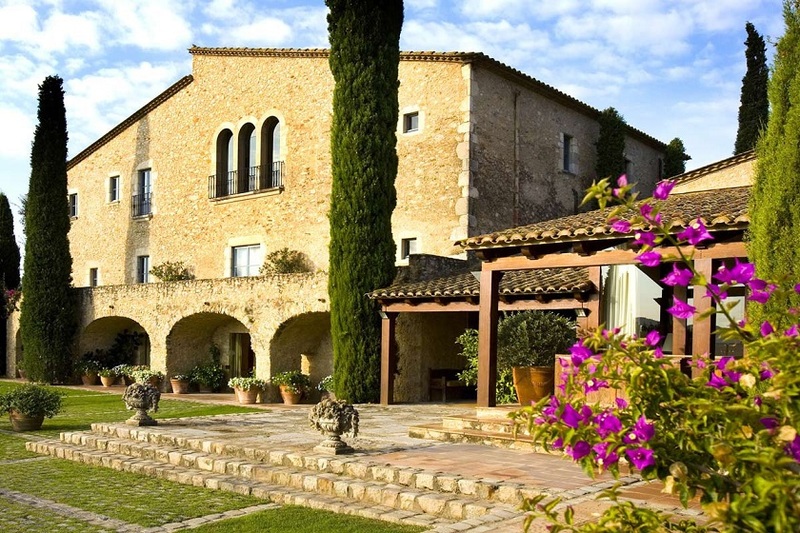 Mas de Torrent: It is a luxury hotel and spa located in Empordà, thanks to the extensive gardens surrounding the building, and an old renovated farmhouse, the place has become a reference name for bridal world. El Hotel W Barcelona: It has become one of the coolest places in Barcelona and, therefore, one of the favorite sites of Barcelona to celebrate any event. It also has spectacular views of the beach. Alhambra Palace and the Albaycin: Old moorish palaces with courtyards and fabulous gardens and fountains. Sacromonte Caves: On the hills facing the La Alhambra, the Sacromonte is located, the oldest quarter of Granada and also a World Heritage Site. There are several wedding venues at this location, where you have the option of holding both the ceremony and the wedding reception. Olivar de Santa Teresa: In the Montes de Toledo is the Olivar de Santa Teresa. An estate with wide recognition in organizing events, located in an idyllic setting. 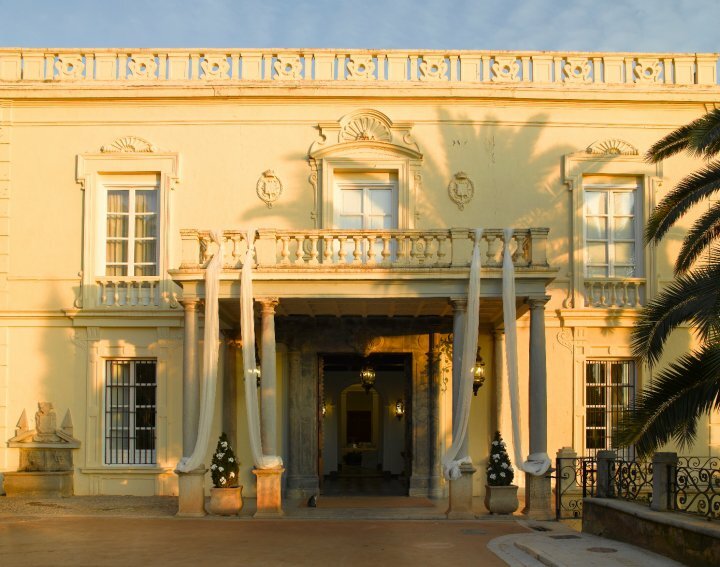 Hacienda del Cardenal : The Cardinal Hotel is located in Old Toledano palace built by Cardinal Lorenzana, Archbishop of Toledo in the eighteenth century. What To Do & Where To Visit In Spain! Spain is a remarkable and incredible country, making it an ideal honeymoon destination. When staying in Malaga on the Costa Del Sol see the true spectacle that is Traditional Spanish Flamenco while enjoying dinner in elegant surroundings. The Costa del Sol’s beaches stretch for miles in each direction, peppered with resorts and towns to keep avid beach-goers entertained. Marbella is one of the most popular coastal towns, with 325 days of sunshine and incredible beaches to choose from. Visit Medina Azahara Archaeological Site and the Great Mosque. It is a mosque-within-a-cathedral. When built, this UNESCO monument was the largest Islamic temple in the world. Its distinctive striped arches are the iconic symbol of Cordoba. Astonishing interior which is one of the most visited buildings in the world and a UNESCO World Heritage Site. Las Ramblas is Barcelona’s most famous street. Check out the street performers, take a look at the interesting architecture, see a show, or stop for a drink and soak up the vibrant atmosphere. It really does feel magic to experience the beautiful show of water, light and music. The Magic fountain was built in 1929 as one of the main attractions for the Barcelona World Fair and the Font Magica is still one of the most famous spots in Barcelona with an estimated 2.5 million visitors annually. Fashion Inspiration From Your Favorite Royals! Here are our favorite looks and fashion inspirations from royals from around the world? Arabia Weddings has just posted photos of Rosa Clara collection at Barcelona Bridal Week!